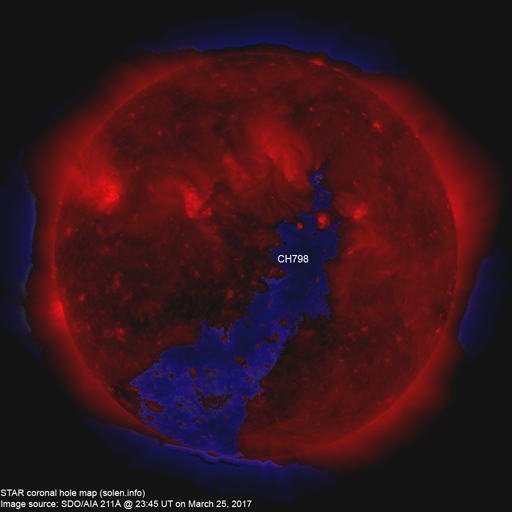 Last major update issued on March 27, 2017 at 04:50 UT. 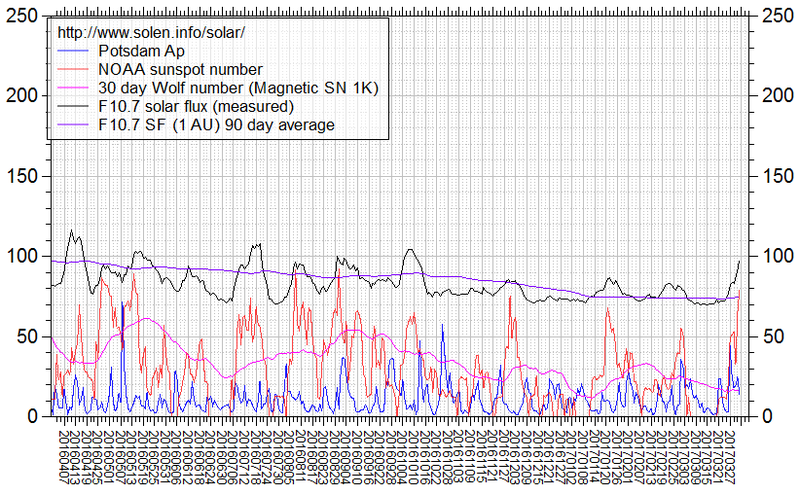 The geomagnetic field was quiet on March 26. 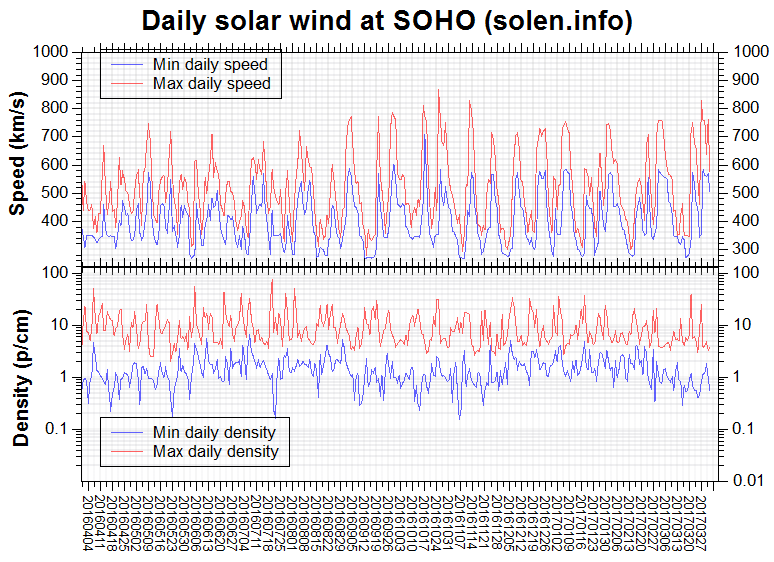 Solar wind speed at SOHO ranged between 345 and 464 km/s. 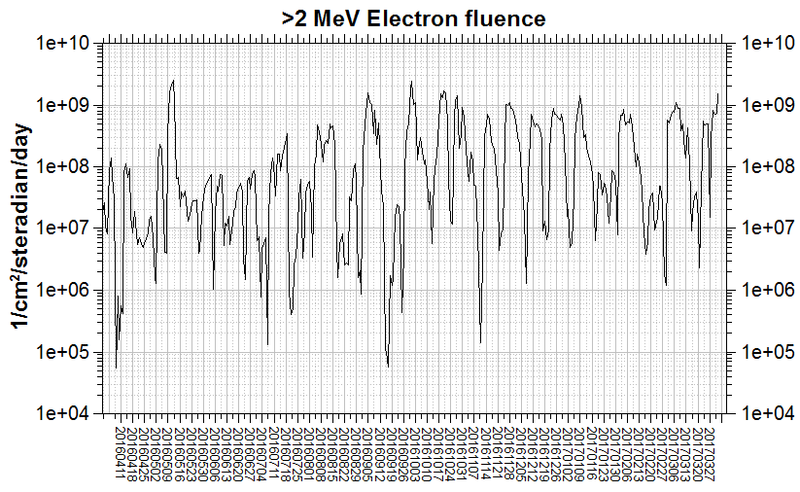 The first effects from CH798 are being observed early on March 27. 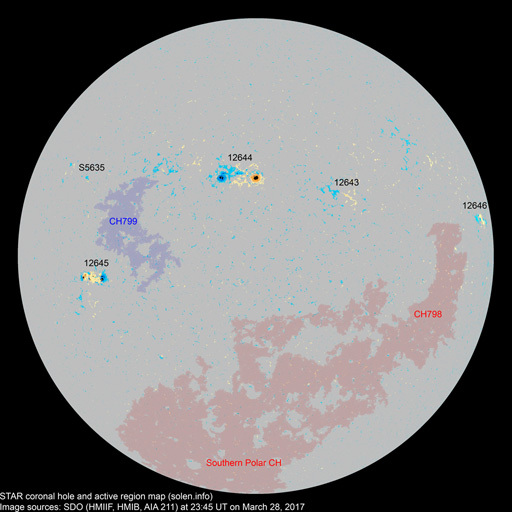 At the time of counting spots (see image time), spots were observed in 2 active regions using 2K resolution (SN: 51) and in 2 active regions using 1K resolution (SN: 36) SDO images on the visible solar disk. 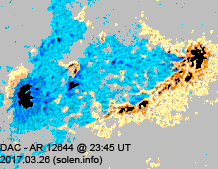 New region 12644 [N12E31] was first observed on March 22 and was numbered by SWPC 4 days later. The region developed quickly on March 25-26 and produced a C flare late in the day. S5633 [N06W43] developed slowly and quietly. 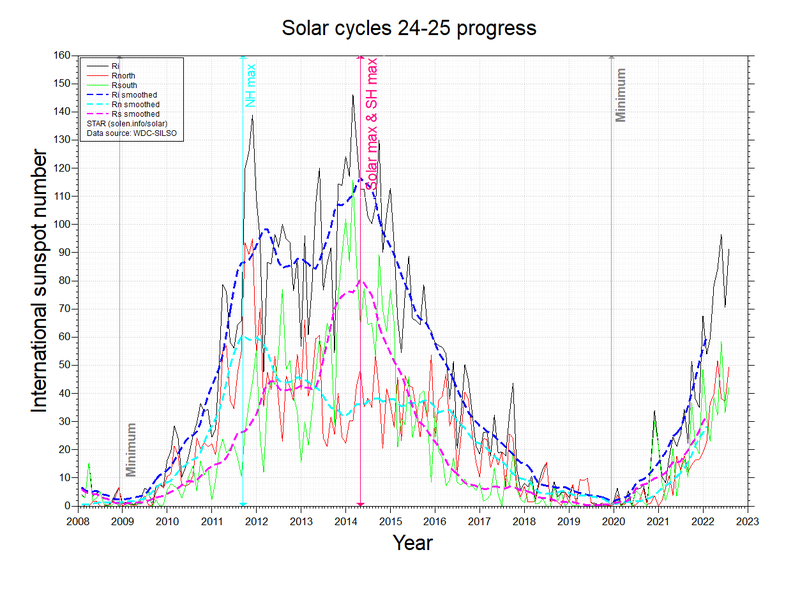 March 24-26: No obviously Earth directed CMEs were observed in available LASCO imagery. 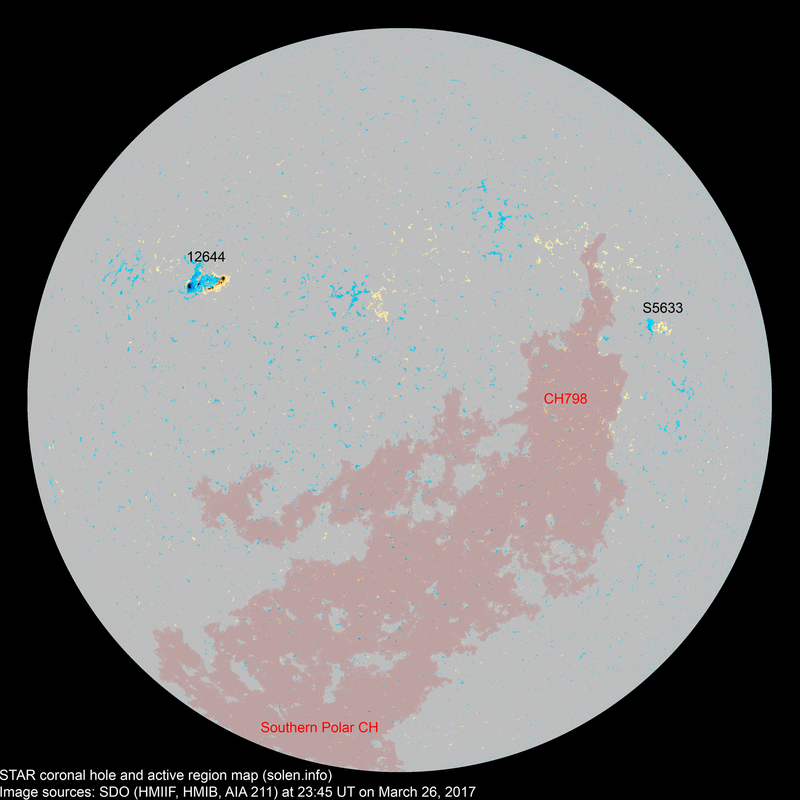 A recurrent trans equatorial extension (CH798) of the southern polar coronal hole will rotate across the central meridian on March 24-28. The geomagnetic field is expected to be quiet to active with occasional minor storming on March 27 - April 3 due to effects from CH798.